All students, regardless of status, who have not been enrolled in a degree program for one calendar year or longer are required to re-enroll by submitting a re-enrollment application. Students who are seeking re-enrollment must submit a Re-enrollment Application. Students seeking re-enrollment are required to present official transcripts from any institution attended since leaving the Academy. Depending on the length of a student’s absence, additional admission documents may need to be resubmitted.  The cost of submitting a re-enrollment application for each degree level is $25 for undergraduate and master’s; $50 for doctoral. Additionally, students who have been placed on academic probation, have been dismissed or have been suspended from the Academy must also petition the Academic Committee by submitting a re-admittance application. After review of application and re-admittance acceptance, student will need to submit a $200 re-admittance fee. The re-admittance application must be approved before a student may submit a re-enrollment application with the appropriate fee. When a student re-enrolls or is readmitted, he or she must adopt the academic program of the most recent catalog in effect at the time of re-enrollment or re-admittance. The student is responsible for completing any and all of the requirements of the new catalog.